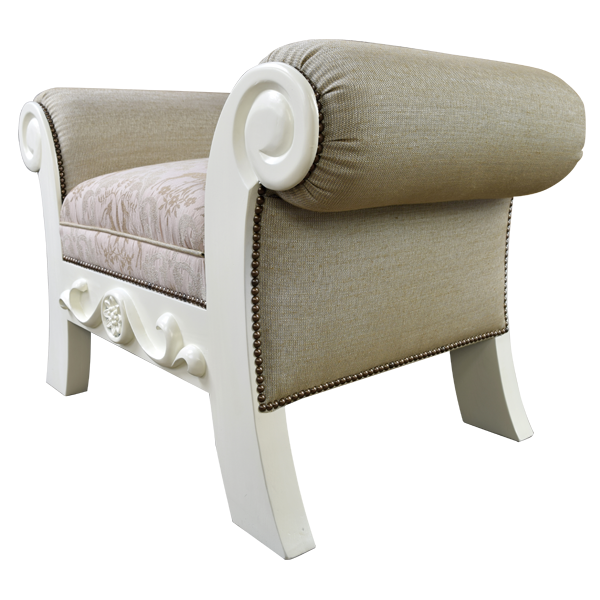 The well padded seat of this marvelous, handcrafted settee is upholstered with gorgeous, fine, print fabric, and the upholstery is precision hand tacked to the frame with decorative, gilt nails. The junctions of the fabric are double stitched together for extra strength and durability. 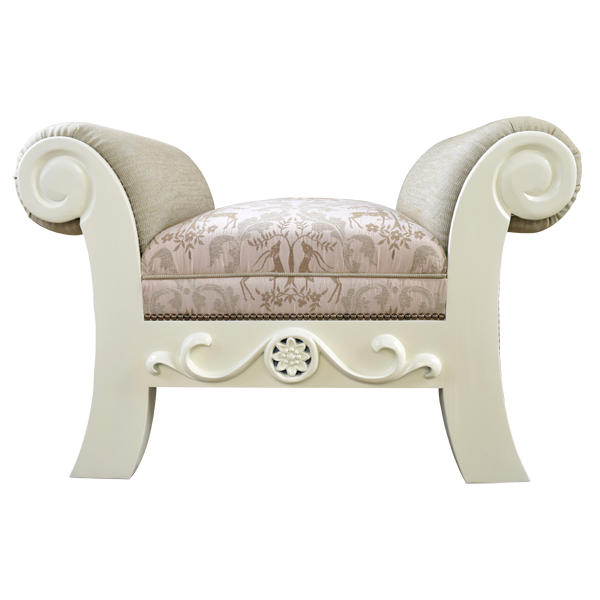 The seat rest on a solid wood base, and the front of the base is adorned with an ornate, hand carved, floral design, with scroll details on each side of the floral design. 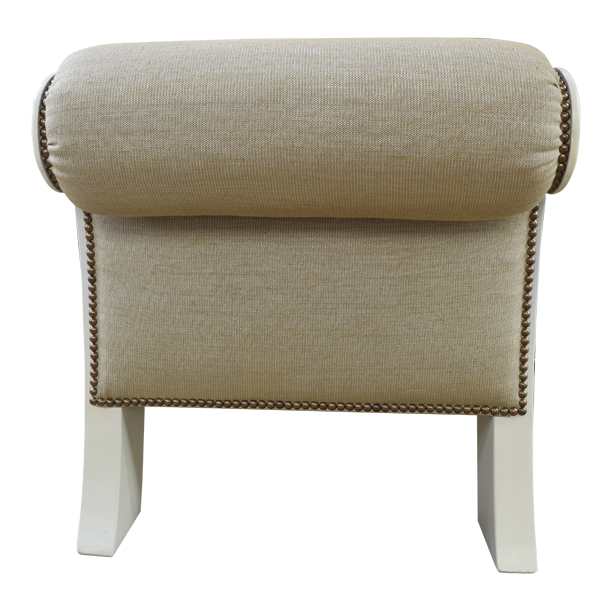 The lateral ends of the settee are enhanced with tall, curved, elegant, scrolled armrests, and both side of the padded armrests are upholstered with contrasting, fine fabric. The fabric is also precision hand tacked to the frame with lovely, gilt nails. The solid wood front of the armrest flow downward to create graceful, curved legs. 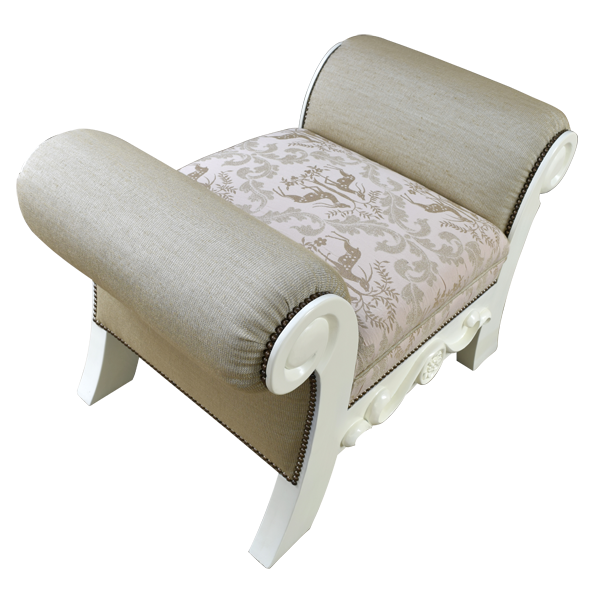 The settee has a beautiful, white finish, and it is made with the best, sustainable, wood available. It is 100% customizable.